Supports Reading Instruction: Classroom libraries provide a collection of reading materials at different reading levels. 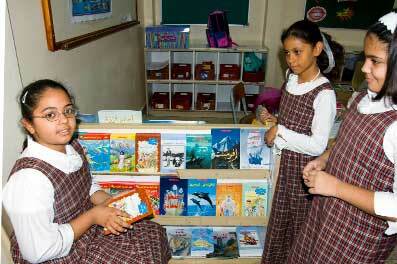 Books ranging from easy to challenging are included to meet the varied abilities of students. Teachers can match the reading levels of their students with the levels of the books in their classroom library. Books are read with success, thus allowing students to grow as readers. Reinforces Language Acquisition: Classroom libraries provide a vast resource for diverse activities that reinforce language acquisition. While the best predictor of reading success is the amount of time spent reading, reading achievement is also influenced by the frequency, amount, and diversity of reading activities. Increases Vocabulary: By reading a variety of texts, students’ vocabulary increases, which improves reading comprehension and language arts skills.